Taxes on Residents' Income from Property in Cayman Is. There are no income taxes and capital gains taxes in the Cayman Islands. However, stamp duties are payable on most legal transactions, including leasing and selling real property. There are no income taxes in the Cayman Islands. Rental income is subject to stamp duties on leases (property and land), and tourist accommodation tax. Stamp duty is payable on leases of real property. Owners leasing properties to tourists are liable pay to tourist accommodation tax levied at 10% on the gross rent without any deductions. For timeshare properties, the daily charge is US$10 for each occupied room. No capital gains tax is levied in the Cayman Islands. Property sales are subject to stamp duties on transfers of properties. Stamp duty is payable on conveyance on sale of real property at a flat rate of 7.50%. 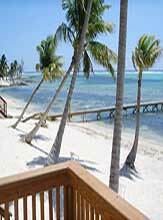 A reduced stamp duty rate of 0% or 2% may apply on Caymanian purchasers of their first property. No property taxes are levied in the Cayman Islands. Individuals who wish to become permanent residents in the Cayman Islands must apply for permanent residential status after six months' initial residence in the islands. Individuals of independent means are required to pay a one-time fee of KYD15,000 (US$17,217) on grant of permanent residency. Permanent residential status entitles the holder to enter and reside in the islands at will, provided he does not engage in gainful employment without approval.